We lost a dear friend last night. We are sad to report that our dear friend, Burdell O. Cobb, a retired Chief Aviation Machinist Mate, Pearl Harbor survivor and Distinguished Flying Cross recipient passed away peacefully in his sleep last night. He was an exceptionally honorable, loyal, generous-of-heart man and we will miss him dearly. Our prayers are with his family and community and we ask you to please remember them in yours. We thank and honor this extraordinarily great man for his service and sacrifice to our nation. RIP, dear friend. U.S. Navy photo by Theresa GoldstrandCommand Master Chief Charles Grandin, third from right, and the China Lake Chiefs Association honor retired Chief Aviation Machinist Mate Burdell O. Cobb during a flag raising ceremony June 27 at China Lake. 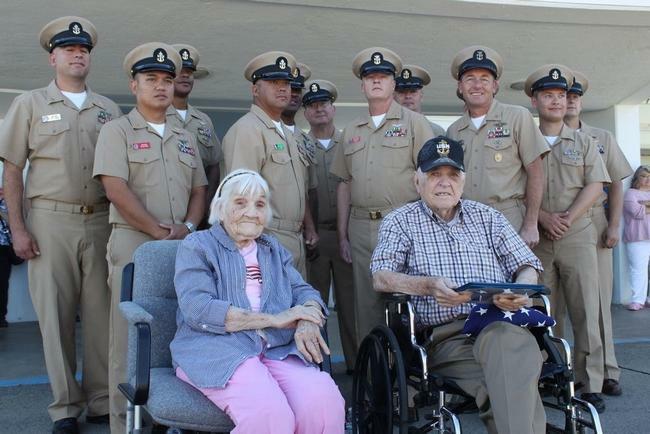 Cobb, a Pearl Harbor survivor and Distinguished Flying Cross recipient, was recently in Ridgecrest visiting family. Cobb was in Ridgecrest visiting his sister, Lorene Carter, and family. 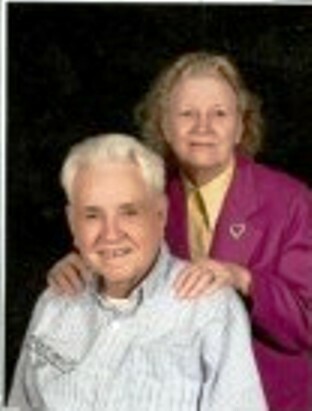 Family members included Naval Air Warfare Center Weapons Division employees Howard Wise, Denise Wise and Kary Thomas. 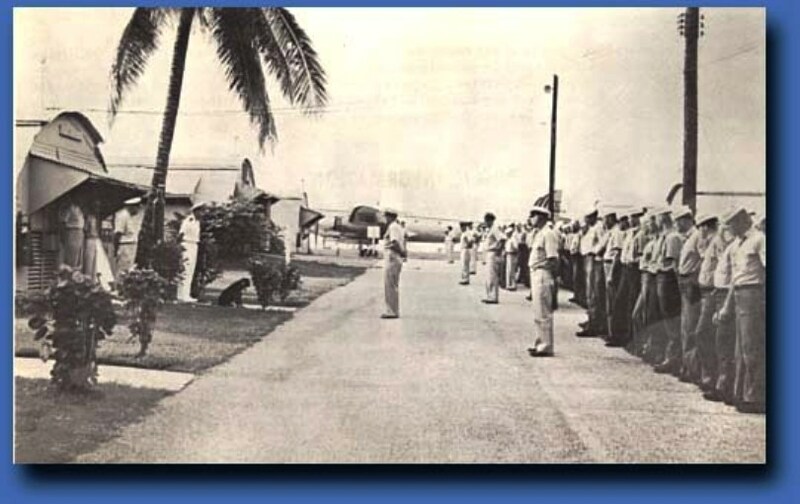 An Arkansas native, Cobb was stationed at Ford Island with the VJ-1 PBY squadron. According to a previously recorded account, on Dec.7, 1941, Cobb had just reported to duty for the 8 .m.-to-noon watch. 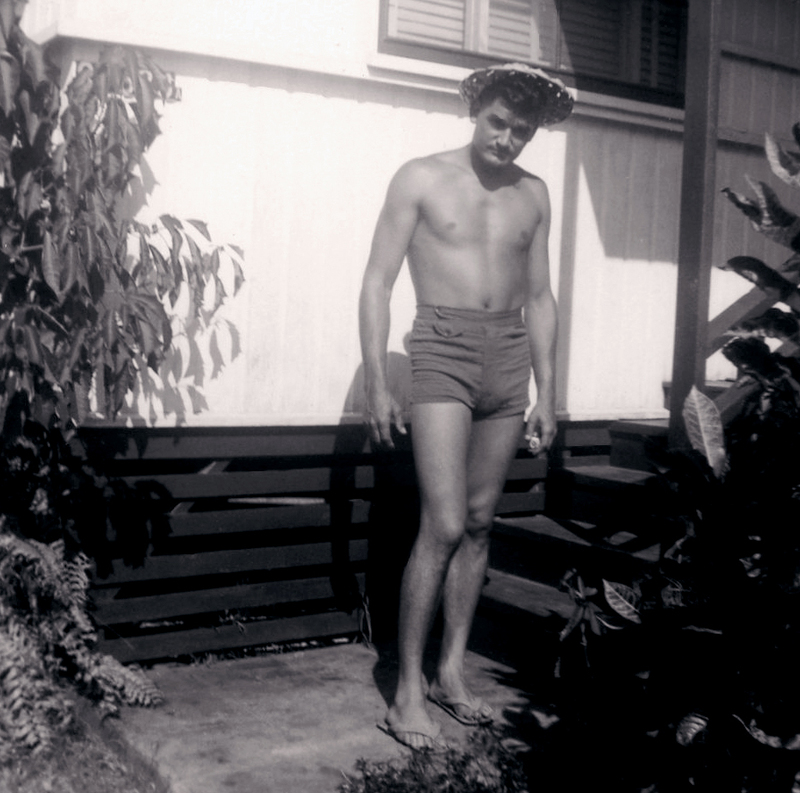 He saw smoke from fires across the channel at Pearl Harbor and called in a fire alarm. At the same time, a wave of “low flying Japanese fighter planes strafed the area.” Cobb fired his 45 pistol into the belly of a passing aircraft. It caught afire, circled and dove into the deck of a nearby ship. The resulting fire was quickly extinguished by the ship’s crew. Cobb was later assigned to squadron VJ-2.He served as a flight engineer in Okinawa. Cobb was later awarded the Distinguished Flying Cross Medal. It is awarded for extraordinary achievement while participating in aerial flight. Cobb served with Patrol Squadron Forty-Six (VP-46) in Korea between June 27 to Nov. 19, 1950. In 1959, following the end of the Korean conflict, Cobb was transferred to Dodge City, Kansas. He served as a Navy recruiter. After 22 years of service, Cobb retired in 1962. (Citation Needed) – SYNOPSIS: Chief Aviation Machinist’s Mate Burdell O. Cobb, United States Navy, was awarded the Distinguished Flying Cross for extraordinary achievement while participating in aerial flight while serving with Patrol Squadron FORTY-SIX (VP-46), in action against enemy aggressor forces in Korea from 27 June to 19 November 1950. “What a beauty Dave married!” He had his own personal pin-up girl! 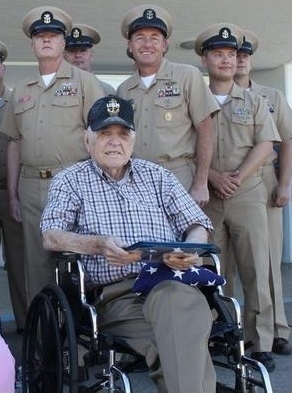 Chief Burdell Cobb is 89 years old –at date of this post: July, 2008, and is a survivor ‘hero’ of Pearl Harbor. He said he actually used his pistol to shoot at the Japanese airplanes flying overhead on the day Pearl Harbor was attacked. Chief Cobb said that he saw horrible, unspeakable things that day. 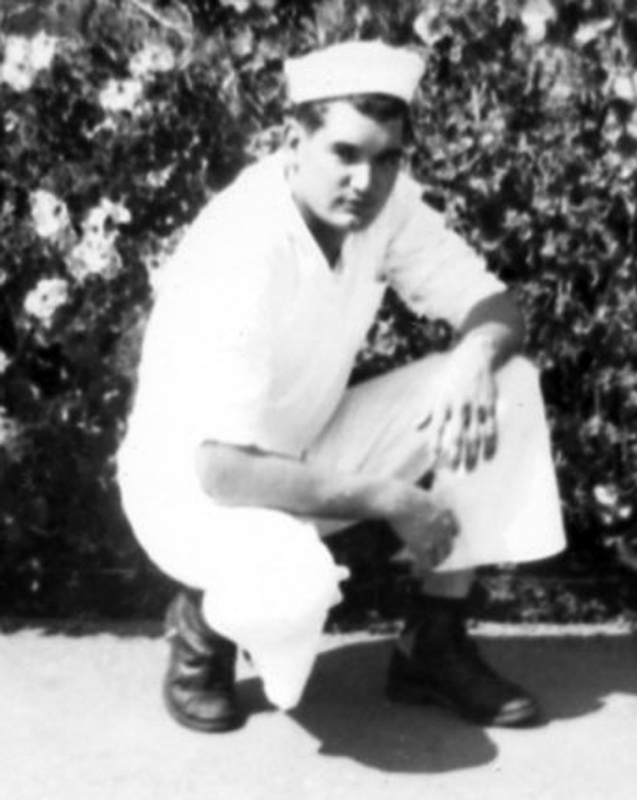 He was Dave’s Navy Chief on Oahu and was a handsome man of great integrity. Melva, a jewel, had lovely red hair and was quite a looker herself. When Sara joined Dave in Hawaii, they had no place to live because there was nothing available. 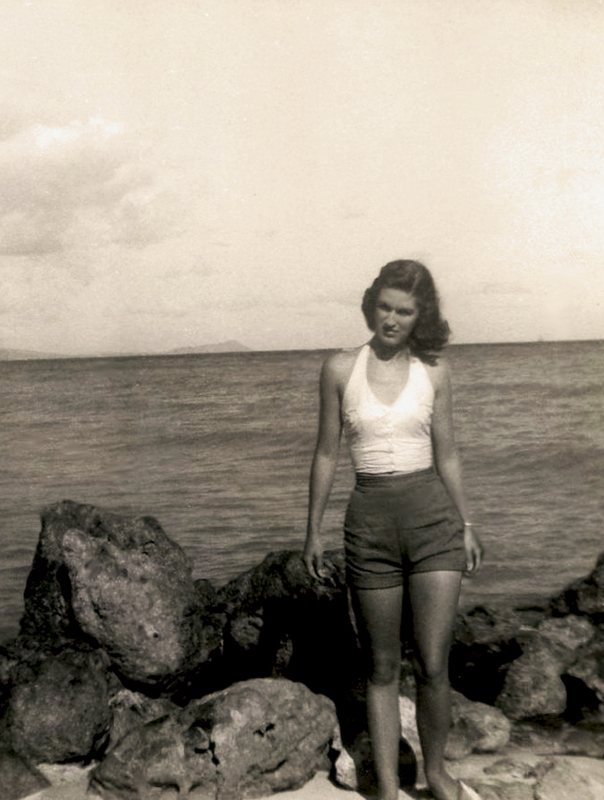 The year was 1955 – Oahu was a less modern island and still a territory – not yet a state. The Cobbs generously opened up their home to them. Chief Cobb said, “…come on to our house – you can move in right now!” They moved their children out of their bed for them. Dave and Sara were extremely grateful and relieved. They state that while staying with the Cobb family, they especially enjoyed their 3 fine sons. The youngest boy had just learned to talk. The two families had many fun beach parties, with lots of great food, good company and home-made ice cream. One afternoon, while all gathered at the beach, Melva was caught up in a large wave that spun her around and around until she finally lost her bathing suit top. They all had a big laugh over that one! The women also enjoyed shopping together on the island. Melva was a wonderful cook. The Cobbs and Dave and Sara quickly became close friends, and through the years have remained their wonderful friendship. Dave and Sara agree that there are no finer people on the face of this earth than these two dear people. When Sara and Dave finally got housing, they moved into the home duplex directly behind the Cobbs – what luck! One day, Sara – a young, jittery bride – went into a panic when Dave brought home a guest for dinner with no notice. She went through the back yard to seek advise from Melva and without hesitation she gave Sara their “already prepared dinner” which fixed her dilemma. What an angel she was that day and every day, as she extended such kindness to this young couple. It was hard for them to say goodbye when Dave was transferred, but luckily the Cobbs eventually moved to Gentry, Arkansas which allowed them to keep in closer contact with each other. Eventually, Burdell, with Dave’s help, was able to hire on at Douglas Aircraft and they were together once again. The Cobbs traveled quite a distance, just a few years ago, to attended Dave & Sara’s 50th Anniversary celebration. It made the event extra special that they were there, just as they were in the beginning! 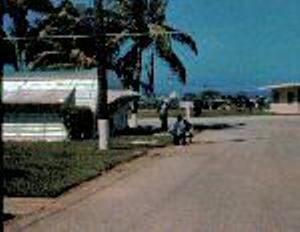 Dave was stationed at NAS Barber’s Point, Hawaii as part of the Air Bourne Early Warning VW-1 Squadron One from March, 1955 to September, 1956. 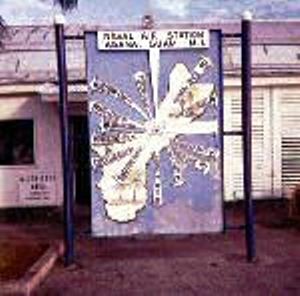 Sara flew from Memphis on American Airlines (Flight 657) to LAX (Flight 655) to Honolulu, Hawaii for $86.68 on July 1, 1955 to join him. 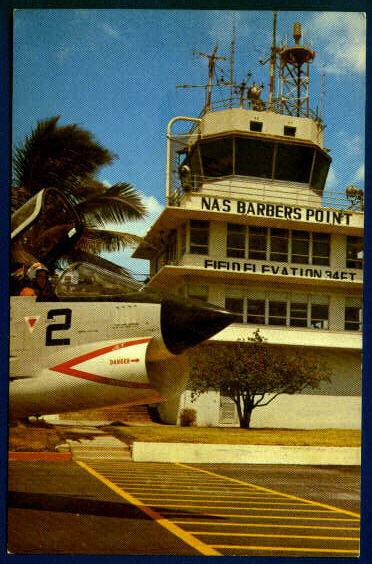 This is the Official VW-1 patch for Barbers Point. The original one did not have the writing or “VW-1 on it (that was added later). The Squadron name was the “Vanguards.” When the Squadron moved to Guam, its mission was changed and it became the “Typhoon Trackers. This was the VW-1 Squadron One area. The Navy housing was across the street. You are currently browsing the archives for the Burdell O. Cobb category.